A.M.A Kickboxing - is one of the best ways to enjoy a high energy, calorie burning, stress busting martial arts class. Our aim is to teach Kickboxing in a safe, fun and exciting way. Our classes give both a great aerobic and anaerobic workout and will also develop speed, flexibility, strength and co-ordination. Either Amateur or Professional Kickboxing, we aim to lay a foundation of solid striking ability combined with superior ring craft our syllabus is designed to concentrate on correct technique and application as well as physical fitness, the class is structured to provide intense cardio workout while learning the advanced techniques that can take your career from amateur to professional. 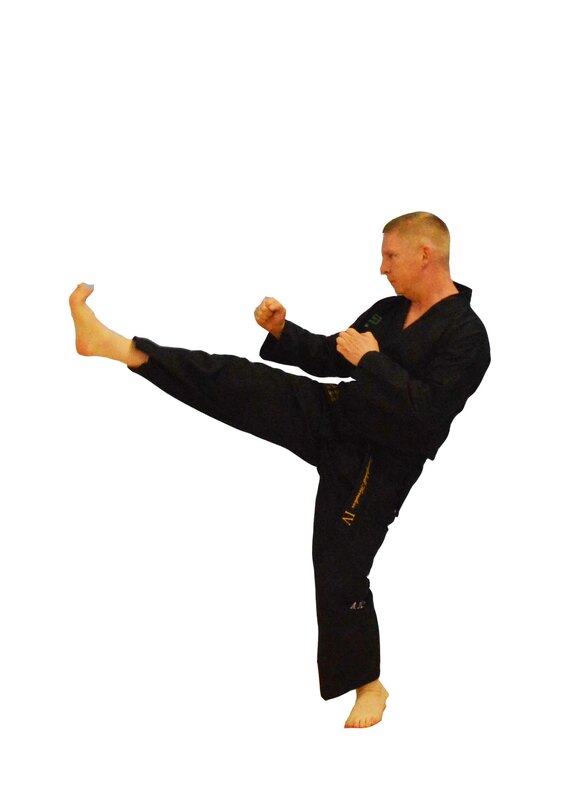 We employ the advanced kicking skills from Taekwon-Do, Thai Boxing combined with western boxing techniques. Competition takes place in a boxing ring for those that wish to enter the competition arena. We have access to the huge availability of quality events here in the UK.We appreciate that most may not want a tournament career but those who do have the choice of both FULL CONTACT and SEMI CONTACT competitions. Gradings will be held regularly, typically every 3 months. To be considered for a grade promotion you must be attending classes regularly, have a great attitude and be improving in your Kickboxing skills. Everyone is an individual – this means that we all learn at different rates and some of us may find a particular technique more difficult than another student. You must have the maturity to accept that you are only competing with yourself. When you are ready to grade, the instructor will let you know. We have certain safety standards to maintain when it comes to sparring equipment (gloves, helmets, boots etc) for the purposes of sparring. Instructors supply this equipment of the correct standard and specification at very good rates. The instructor is well within his/her rights to forbid the use of equipment that he/she feels is sub-standard. To prevent such occurrences, speak to your instructor when the time comes to purchase this equipment.